The Indian economy is expected to grow by around 7.5 per cent in 2018 and 2019 as it is largely resilient to external pressures like those from higher oil prices, Moody's Investors Service said today. In its Global Macro Outlook for 2018-19, Moody's said the run-up in energy prices over the last few months will raise headline inflation temporarily but the growth story remains intact as it is supported by strong urban and rural demand and improved industrial activity. "Growth prospects for many of the G-20 economies remain solid, but there are indications that the synchronous acceleration of growth heading into 2018 is now giving way to diverging trends. The near-term global outlook for most advanced economies is broadly resilient, in contrast to the weakening of some developing economies in the face of emerging headwinds from rising US trade protectionism, tightening external liquidity conditions and elevated oil prices," it said. 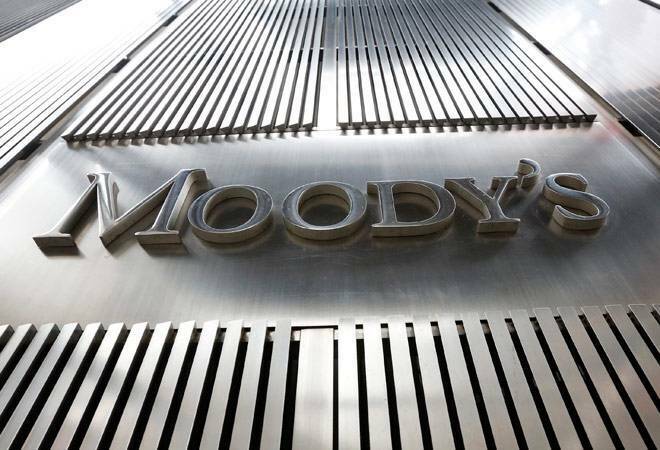 Moody's put G-20 growth at 3.3 per cent in 2018 and 3.1 per cent in 2019. The advanced economies will grow 2.3 per cent in 2018 and 2 per cent in 2019, while G-20 emerging markets will remain the growth drivers at 5.1 per cent in both 2018 and 2019. "We expect the Indian economy to grow around 7.5 per cent in 2018 and 2019," it said. Moody's had in May cut India's 2018 growth forecast to 7.3 per cent from the previous estimate of 7.5 per cent, saying the economy is in cyclical recovery but higher oil prices and tighter financial conditions will weigh on the pace of acceleration. Today, in the graphic accompanying the outlook, it put 2018 growth at 7.3 per cent and 7.5 per cent for 2019. But in the text it put the growth "around 7.5 per cent" for both the years. Indian economy grew by 7.7 per cent in the first quarter of 2018. "High-frequency indicators suggest a similar out-turn for the second quarter," Moody's said. "Growth is supported by strong urban and rural demand and improved industrial activity." While robust activity is shown in the industrial sector, a normal monsoon together with the increase in the minimum support prices for Kharif crops should support rural demand. "Thus, despite external headwinds from higher oil prices and tightening financing conditions, growth prospects for the remainder of the year remain in line with the economy's potential," it said. Moody's said the Reserve Bank of India (RBI) in July raised the benchmark repo rate by 25 basis points for the second time in two months to 6.5 per cent. "Two concerns behind the tightening cycle are rising core inflation and vulnerability to tightening external financial conditions," it said. Retail inflation in India has risen as per expectations since mid-2017 but remains stable at around 5 per cent. But core inflation has moved up in recent month to 6.2 per cent, it said adding a number of factors influencing the headline inflation rate in both directions, most of which are transitory. "The run up in energy prices over the past few months will raise headline inflation temporarily. The impact on food inflation from increased procurement prices to farmers will be mitigated somewhat by the expected rise in farm output because of a good harvest," it said. An upside to inflation comes from strengthening demand, which is reflected in rising core inflation. "We, therefore, expect the RBI to continue on a steady tightening path into 2019," it added.